Today is the anniversary of the death of infamous tongue twister William Spooner in 1930. William Archibald Spooner is the Mr. Magoo of notorious namesakes. 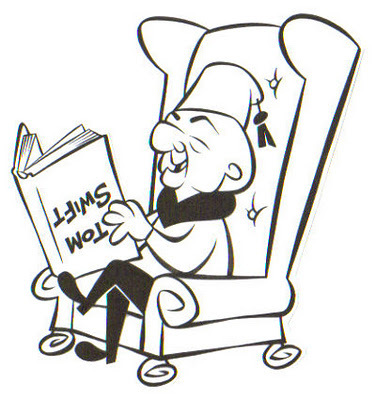 He was a short, large-headed albino with poor eyesight whose mangling of words plagued him for life. His notable quotables (which, in all likelihood, were never uttered by him) run the gamut from religion (“the Lord is a shoving leopard”) to politics (referring to the Queen as “the queer old Dean”) to etiquette (“it is kisstumary to cuss the bride”) to philosophy (“We all know what it is to have a half-warmed fish inside us”). 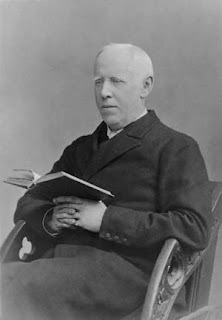 Spooner was born in London in 1844 and spent most of his career and life at New College, Oxford, as everything from an undergraduate to a lecturer, dean, and warden. He also became a priest in the Church of England in 1875. Spooner himself only ever acknowledged botching the title of a congregational hymn as “Kingering Congs Their Titles Take” instead of “Conquering Kings Their Titles Take,” though the Oxford Dictionary of Quotations also insists he once opined that “the weight of rages will press hard upon the employer.” So whence come the slew of spoonerisms we know and love today? It seems, in part, that crafting and attributing them to their dean was popular word sport for students at Oxford in the late nineteenth century, leading to a host of wordplay witticisms that have been associated with the good reverend ever since. It is possible that Spooner was not the first person to suffer from public association with the linguistic affliction. Similar tongue twists were first called “marrowskis,” believed by some (though the evidence is quite thin) to be based on the speech pattern of Count Joseph Boruwlaski, the Polish-born dwarf who toured the royal courts of Europe in the late eighteenth century as a respectable violinist. Nevertheless, the term spoonerism was bandied about at Oxford by 1885 and across all of England by 1900. Spooner himself seemed to have spurned the association early in his life—he once allegedly chastised an expectant crowd by accusing “You haven’t come for my lecture but just want to hear one of those…things”—but came to terms with his legacy by his death at the age of eighty-six in 1930. It is somewhat widely acknowledged today that most of Spooner’s attributions are apocryphal and should be taken with a few grains of salt. So what would Spooner himself have done with this salt? Apparently he was once dining when a small amount of it was spilled on the table. Mentally reversing the technique for removing a stain, Spooner promptly poured wine on it.